How To Add a Product Video On a Magento Product Page? A complement to your eCommerce product description and much more. By using the YouTube embed code. By Making some tweaks in the Magento front files. By installing an extension for Magento product page video support. We will see all the three ways here, and I will explain them all in detail in this article. So, keep reading. Here we will embed a YouTube video on a Magento product page. It is so easy with YouTube supporting the developers with its iframe embed code. You just need to copy this embed code and paste in your product description of the product where you want to show the video. That’s it and done. You have embedded a YouTube video on one of your Magento product pages. Open YouTube on a computer or laptop. Scroll down and click on the “Share” button. It will open drop open an interface with three options – Share, Embed, and Email. We are concerned with Embed here.Click on Embed tab. Copy the iframe code shown just below the Tabs. It will also show a preview window to see how the video will look on your page. Paste this code in your Magento Product description and save it. That’s it. Please note: You can paste this code in any of your Website, blog, or e-Shop HTML code to show the video on the respective locations. 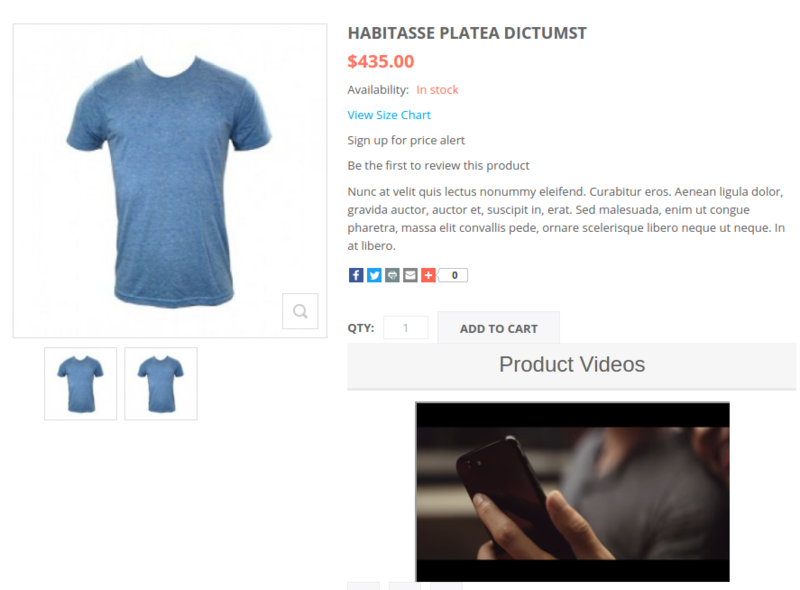 Let’s try adding a product page video using a different way. This approach needs you to have an access to the site’s FTP (Files). Using this approach you can add the video on any of the sections on the Product page; not just the product description section. Where “yourtheme” is the name of the theme you are currently using. Now in order to show a video, you just need to copy and paste the video UID (Unique Identifier) into the video attribute field. Where “06WPhrnNQik” is the video UID. 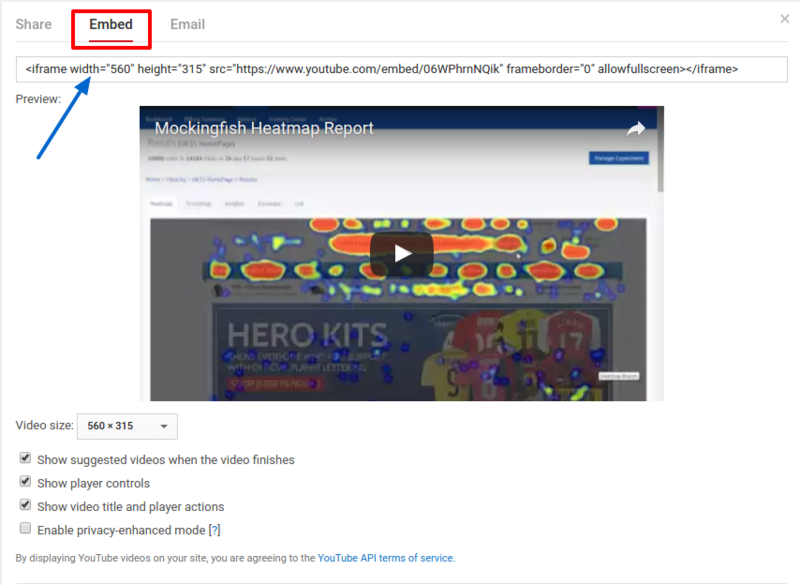 So this is how you can embed a YouTube video on your Magento product page very easily. Do you also want to embed Daily Motion or Vimeo videos? Or do you wish this approach could have been easier? Well, the third way that I am going to explain is the ultimate answer. With this approach, you can embed multiple videos, on multiple pages at once. Moreover, You do not need to edit any code. If you find the above approaches somewhat difficult and tedious, you can try the Magento product video extension to help you here. Just follow these steps and you can embed multiple YouTube, Vimeo, and Daily-motion videos on your Magento product pages without editing the code. A. 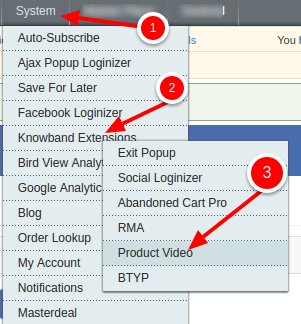 Install the Extension and enable it going to “System>>Knowband Extensions>>Product Video. B. As soon as the extension is enabled, every “Product Edit” page on your Magento store will start to display a new tab “Product Video”. So, now go to the Product Edit page of the product where you want to show the video through “Catalog>>Manage Products”. C. Open the product edit page. D. On Product Edit page, Scroll down and find “Product Video” Tab. Click on it. E. Here, click on the “Add New” button on Upper left the corner. It will open the add new page. Here you can add your videos. G. That’s it, you have now successfully added a video on your Magento product page. Not just this, with this extension, there are various customization features that you can use. You can change the location of the video on the page, you can choose how the iframe will look and what control it will show to your front user. You can also adjust the size of the video window that too all without touching a single line of code. You can read this short documentation to know more in detail about this product video extension. Our Magento development services are open to all your queries and suggestions.